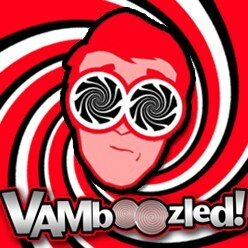 Special Issue of “Educational Researcher” (Paper #3 of 9): Exploring VAMs’ Potentials | VAMboozled! This entry was posted in Research and tagged High Stakes, Research Study, Solutions by Audrey Amrein-Beardsley. Bookmark the permalink. Pathetic inferential leaps through hot air. I cannot believe the arrogance. In additionto the aggrandizement of test scores, the proponents of VAM are absolutely blind to the numbing and dumbing effect of their enchantment with the follow-on stack ratings of teachers. As a long time worker in arts education, I witnessed and responded to the early efforts to develop tests of creativity. I also contributed to the test items and to the interpretation of results from the first NAEP tests in the visual arts. I’m dumbfounded and angry about the distortions in educational theory and practice that have been produced by “the econometric turn” foisted on so many, by so few. Why is there so little discussion of the fact that as many as 69% of teachers have job assignments for which there are not standardized tests? Why are these teachers being assigned so-called “distributed scores” for school-wide performance, usually in math or reading? These is little recognition of the double-whammy curriculum distortions and representations of “educational progress” wrought by VAM and the Common Core, and much posturing about college and career readiness as the end-all and be-all of education. It is sad to see Educational Researcher giving credence to the idea that VAM is an “objective” measure on which policies and practices can and should be built.